If your here often, you know we love to share news we find with our social friends. 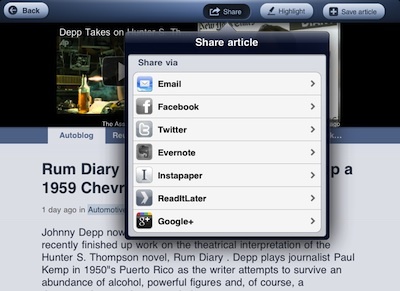 In about every app, we call out how you can do that through the top choices… Facebook, Twitter, Flickr and others. One missing from the list has been Google+. In fact, until we hit on the newest version of News360, we have had to copy/paste between apps. Now, Google+ is one of the options available right in the usual social pull down – share what you find! 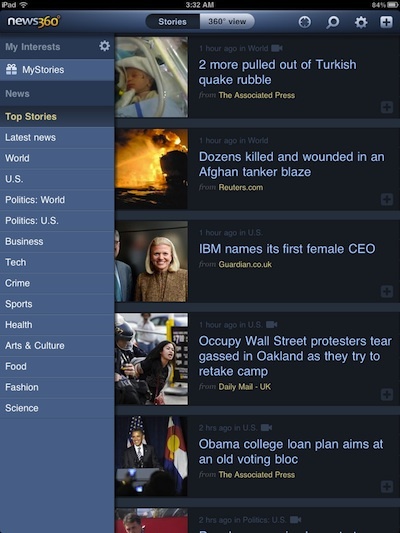 If your new to News360 – it is a news provider app for the iPad with a few twists on how you view your news. The starting page looks much like other options with a strong emphasis on being able to see the top news quickly, then the areas of personal interest. The user interface avoid clutter and is built around seeing what is going on then moving on. Tap any headline/image to see the full article… and share. News360 does offer the ability to set up an area of news of only your interest and a geo locator icon will find what is going on near you. 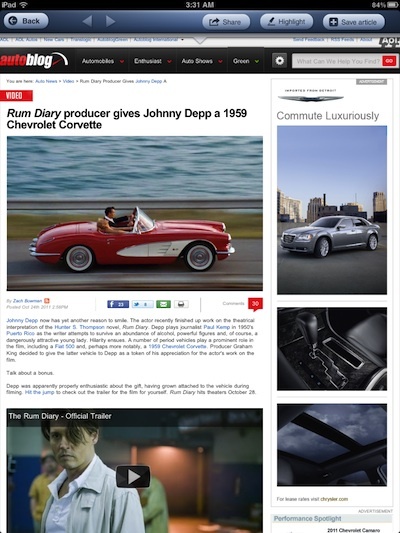 From the top bar, you can choose to see the news in images. 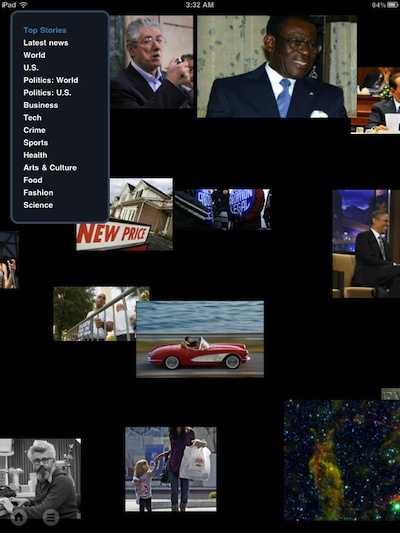 From the 360 degree image view, you sweep through what seems like an endless mix of news images. Tap on any to see a pop up window of the image and article’s headline. Each image opens up a News360 cleaned up view of the article, like tapping the article in the news list view. The text is available to move through quickly. With the options to share, see highlighted key text, save the article for later and view the original online post. Choosing to see the original article shows you the Web page but keeps it within the News360 frame rather than taking you to a general browser window. This way, you are still able to share, highlight and save for later reading without having to jump back and forth between views. A quick swiper downward returns you to the original News360 easy read view.